Bohol Island is made up of extensive karst (limestone) formations, such as sinkholes, ravines, the curious Chocolate Hills, and a large number of caves, many of them unexplored. It is considered by most as a cave country and got its name from the word “buho”, meaning “hole” from which spring water usually gush forth. 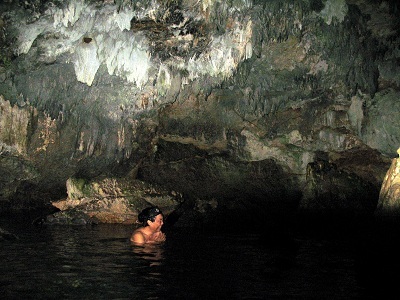 To date, there are more or less 1,400 caves that were discovered throughout the island. The caves are often found near coastal towns of the island with a few situated inland yet near to rivers and streams. 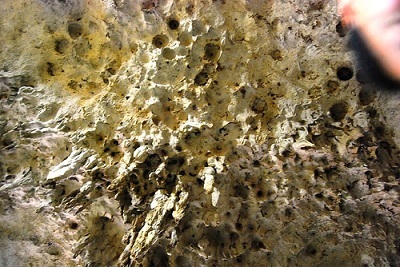 The caves in southwestern and northwestern Bohol are made up of Pliocene limestone, and tend to be narrow, long, and wet; while those in southeastern Bohol are Miocene limestone that tend to be larger, deeper and drier. During cave explorations, one may come across streams whose source is a hole in the ground, only to flow a few kilometers further on and disappear underground then gush forth again in the distance. This is a sign that caves exist in the area. The underground world of the caves already explored was found to be beautiful, with astounding stone formations called stalagmites and stalactites and ponds. Many bizarre invertebrates like the albino crabs were found. They evolved and adapted to their dark environment. Bats inhabit most of the caves though. Most of these caves were used as hideouts during wars. Some are easily accessible yet others need climbing equipments and climbing expertise in order to enter. Some caves are dangerous in the rain as water levels inside may rise up rapidly. For the 1st timers, it is highly advised that they seek guidance and proper orientation from local cavers to avoid untoward accidents. Equipments used are main and back-up lighting systems, to ropes, slings, carabiners plus other technical gear. But these depend upon the cave to be visited so it is quite important to have expert guides during each trip. Fairly a new sport in the Philippines, it is considered with suspicion for some who hold superstitious beliefs regarding the caves. Some town officials and local residents may also be wary of these trips believing that cavers come for known Japanese treasures. 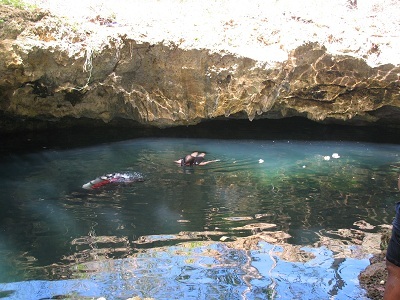 Surveyed and mapped caves in Bohol were found to be moderate in size and with ponds. Others show severe earthquake damage particularly in Guindulman town. Most caves are vertical drops that lead to horizontal passages, many of which are interlocking, and need climbing equipment and require experience. Some thrilling passages can only be entered by submerging oneself underwater. Several caves are within the ancestral domain of Eskaya tribe, which covers portions of Guindulman, Duero and Bilar. Cavers have to get permission from tribal leaders before exploring, for failure to respect tribal customs and traditions could lead to these areas being closed. The Francisco Dagohoy Cave in the town of Danao was once the headquarters of the Boholano patriot Dagohoy who led an extended rebellion against Spain starting in the first half of the 1700's. 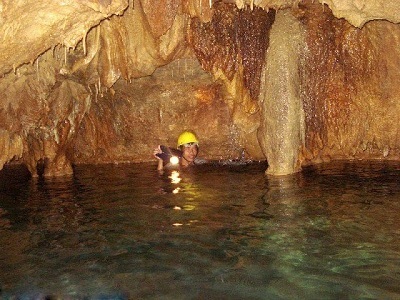 One of the many crystal-studded passages within the cave's maze has an underwater route leading to dry land and was often used by Dagohoy and his men to escape the clutches of the Spaniards. The largest cave, however, is Sudlon Cave, nestled in a lovely mountain environment and is home to a huge population of bats. The Hinagdanan Cave is the most popular and easy to reach among the caves of Bohol province. 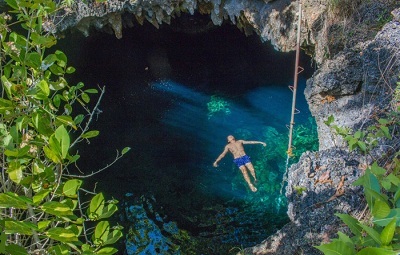 Classified as a karst cave, it is located in the town of Dauis in Panglao Island. The cave boasts of a large number of stalactites and stalagmites and leads to an underground spring pool where visitors can take a dip. Water is icy cold where the spring gushes forth yet a bit warm at the outlet where it meets the sea. The Kamira Cave is one of three caves in Danao declared by the Department of Environment and Natural Resources (DENR) as safe to explore. The area where the cave is located is a sanctuary, protected by the municipality in a careful attempt to preserve the natural beauty of the place. Even at the cave site, only ropes are allowed to be used to maneuver in and out of the cave and not ladders. The Buhong Tiawan Cave is located one and a half kilometer from the town center of Antequera, Bohol. The entrance of the cave can be found in the wall of a limestone hill and to reach it one has to walk one kilometer through dense vegetation. The entrance is estimated to be 3 by 5 meters wide, and leads to a cavern that is less than 100 meters long. Dripstones, of various types, can be found inside. In the annals of history, this cave served as a hideout of the locals during the Japanese occupation. At present, the cave is the home of birds and bats. The Hagakgak Cave is located two kilometers from the center of Antequera town. The cave can be reached via a dense trail whose entrance is estimated to be 15 meters wide at the base of a sinkhole. 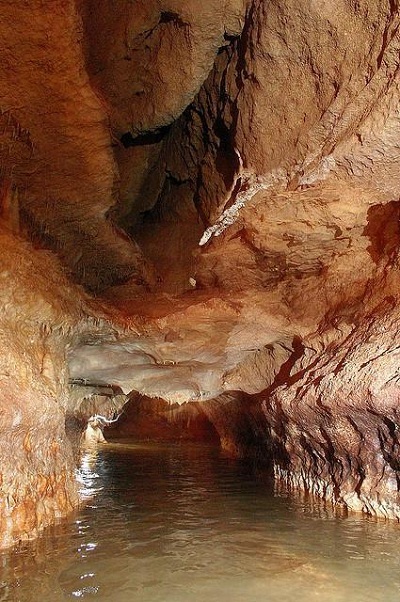 The cave is literally undisturbed and is difficult to maneuver because the inside can be wet and muddy at times. There are portions where one has to pass thru narrow passages in order to enter a cavern where majestic formations of stalagmites and stalactites can be viewed. The rare albino crabs of the species sundathelphosa Filipina and fishes have adapted themselves to this dark habitat. The Inambacan Cave is located two kilometers from the center of Antequera town and is more accessible than the Hagakgak and Buhong Tiawan caves. The caves’ special feature is the cavern with small stalactites and stalagmites which is often submerged in flowing water. The water may go over 1.20 meters deep where only a mere 30 centimeters of space remains before the ceiling. Local guides are necessary if one goes spelunking in the area. The Antequera Cave is located in a village of Antequera town. The cave, where a summit pit is grown over with ferns, is known to be the home of phytons. It is otherwise called as the “snake pit”. The snakes feed on rats from the nearby fields. The Carmaloan Cave in Jagna town which lies halfway the southeastern coast of Bohol. The cave is considered as one of the deepest caves of Central Visayas which goes down to a depth of 149 meters. The length of the surveyed portion is 561m. 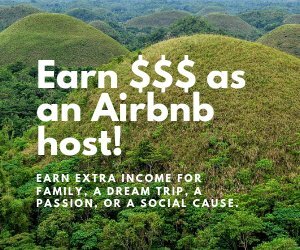 An overnight stay is necessary if you want to totally explore the cave. There are many more caves in the town that one may like to visit. 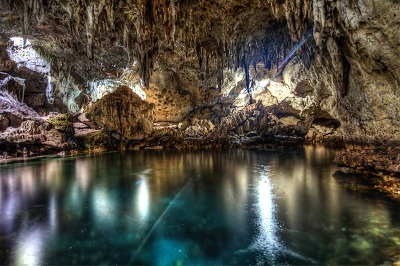 The Sudlon Cave is located in the town of Alicia, Bohol. It is by far the largest cave in Bohol with a 50m wide entrance. It is situated on a mountain and serves as a habitat for a huge population of bats which emerge from the cave at dusk like large storm clouds. Inside the cave is a beautiful display where Miocene limestone surrounds an intrusion of Creataceous andesite. The Seventh Heaven Caves can be found in the town of Garcia Hernandez which is located along the southern coast of Bohol, halfway between Jagna and Valencia. The caves are situated at the Garcia Hernandez Park. There are several primitive burial caves in the town of Anda. These burial caves can be found in Candabong, Bacong, Virgen, Casica, and Talisay. Other cave-burial sites can be found in Basdio, Guindulman. The caves are found in the cliffs of Basdio, most of them very steep and difficult to enter. One cave is quite accessible though. A small path leads to it, passing thru cornfields and along steep cliffs where the sea is seen eight meters below. The cave is on a ledge which is about twenty meters above the end of the path and needs climbing equipment in order to reach the entrance. 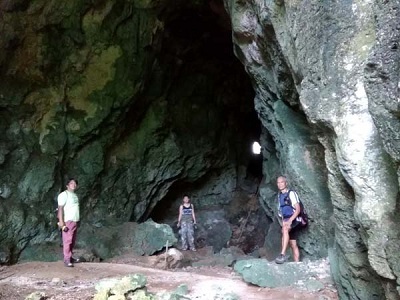 Another cave is more accessible even without climbing equipment but disappointing for visitors for the contents of the caves have been ransacked by grave robbers who reportedly sell the wooden coffins as antiques in Tagbilaran. 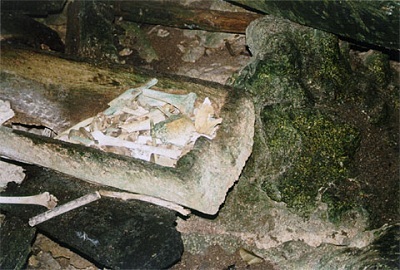 Some remaining coffins are opened with all the human remains scattered around. The skulls and lids of the coffins are gone. The Batuan Caves can be found in the village of Behind the Clouds in Batuan town. One has to trek over rugged terrain in order to reach the caves. One cave feature several subterranean waterfalls where the sound and pressure of the underground running water causes noticeable vibrations on the surface. Overnight camping may be necessary if one wants to explore all the caves. The Baliho and Lahug Caves are located at Danao town which is 92 kilometers from Tagbilaran City. The Batungay Cave is located at Trinidad town which is ninety eight kilometers from Tagbilaran City by way of the Loay road. 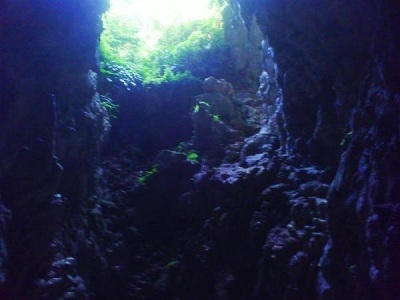 The cave is believed by the locals as inhabited by a mysterious creature they call “hiwaga”, which has the head of a bird and the body of a snake. BOEX cavers explored the area though and did not find any sign of the creature. Some members did report hearing an animal sound unlike any they heard before, described as a mixture of a hiss and the sound of bats. 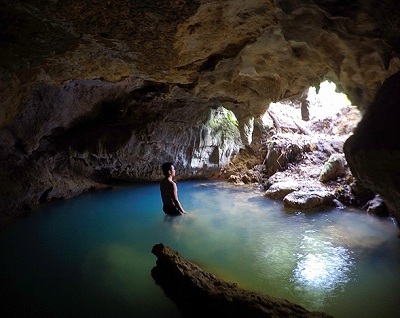 The Guimba Cave is located in the town of Loboc, an interior town 24.1 kilometers from Tagbilaran City. The cave used to be the hideout of guerillas during the Japanese invasion. From there, via a tunnel-like structure, one can walk their way to Bilar town. Local folks believe that several treasures are hidden inside the cave yet nobody dares to enter for fear of creatures that have lived there after being abandoned by the war evacuees. One has to cross a river on a canoe and climb up a steep mountainside to reach this cave which is inhabited by bats. The cave is easy to walk through and not completely dark. Kabagno Spring/Cave can also be found in Anda. The square opening to the cave is fringed by jagged cliffs. Small stalactites can be seen from the outside and there is a 3.5 meter drop to the spring water below which is quite deep. The cave is wide and spacious with stalactites inside. The square opening lets the sunlight in and the blue sky above reflects on the water below. Spelunkers will find difficulty getting out from the cave for there is no available clear handholds or footholds. With the opening way up high on the cave’s rooftop, climbing up on knotted ropes that have a tendency to swing requires strength and stamina. 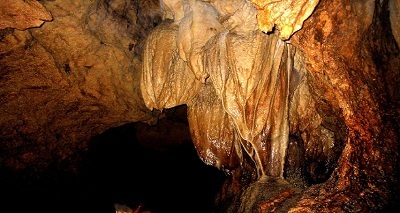 Kalooy Cave can be found at Barangay Kalooy, Cortes Town. The cave is situated on a mountain slope. A hike from the cave’s opening to its exit point will only take about an hour. Exploration reveals a deep cavern with giant chambers, rock formations, and stalactites. The flooring of the cave is with water only during rainy days. Kokok & Nueva Vida Sur Caves are located at Carmen Town which is 59 kilometers away from Tagbilaran City and home to the famous Chocolate Hills. The caves are characterized with giant chambers, rock formations such as stalactites and stalagmites that lace the underground of the town’s upland areas. 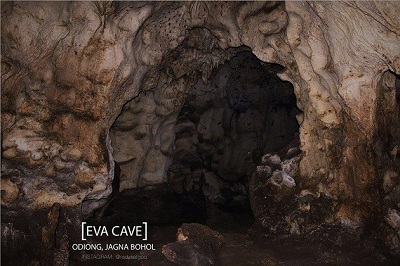 Eva Cave can be found at Barangay Odiong in Jagna Town; one and a half kilometers from Odiong Elementary School. The cave was once narrow and small yet after a high magnitude earthquake, its depth and width increased considerably. 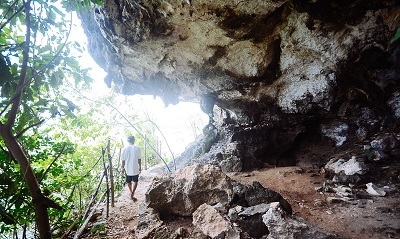 The cave’s cavern is very wide and has several compartments and is home to birds that produce edible nests usually gathered up by the local folks for sale to restaurants and malls in Tagbilaran City. One of the big compartments has a knee-deep pool of water. Outside the cave are wild orchids and tree ferns. 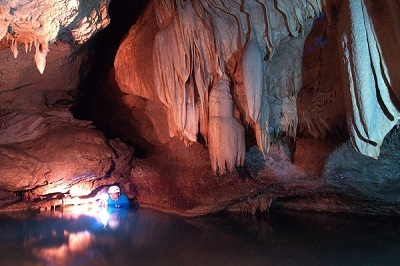 Cantuyoc Cave can also be found in Jagna Town and have been declared as the Philippines’ second deepest cave by two Slovenian spelunkers in 1995. The underground chambers also reveal underground rivers. Sierra Bullones Caves is located in Sierra Bullones Town in Bohol, Philippines. The area is blessed with karst limestone caves in the hilly limestone portions of the town which have been mapped with the help of the local residents and technical experts. The area is part of the Rajah Sikatuna Protected Landscape where caving is the premier community-based eco-tourism activity of the municipality. Trained guides are available for caving trips. Maribojoc Cave can be found at Barangay Punta Cruz in Maribojoc, Bohol. 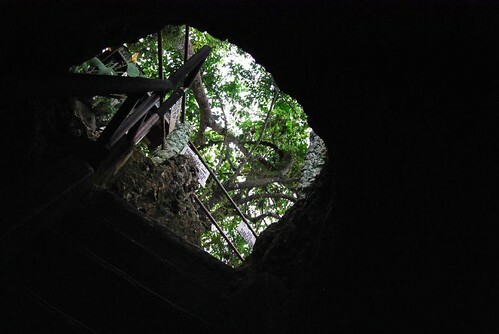 The cave is near the famous Punta Cruz Watchtower and is often used by boy scouts during camping days in the barrio. The cave exits on the other side of a hill. 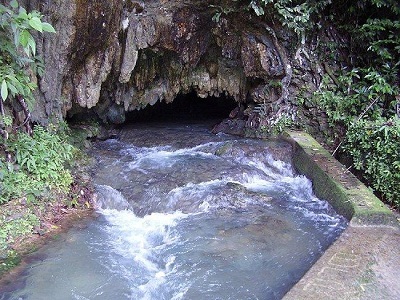 Lagtangon Cave can be found at Barangay Lagtangon, also in Maribojoc Town. It is near Punta Cruz. A small hole on the ground allows you to fetch cool spring water from the cave with the use of a small pail. Water from the cave is used by local folks for their household cleaning chores. The cave is believed to have a wide cavern inside for loud echoes occur when you shout through the small opening. Macavan Cave is located at Inabanga, Bohol, Philippines. It is situated at the northern coast of Bohol, seventy one kilometers from the city of Tagbilaran.